Skybarhome.com has been providing home wine systems that cools and preserves for many years. With the Skybar Wine System, you can chill and preserve wine in its best serving temperature for ten days. At this online store, you can also buy wine accessories like Wine Chill Drops and Wine System, among others. 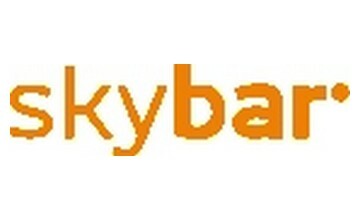 At Skybarhome.com, customers can find products such as Wine Chill Drops, Wine System and Wine Cool Cover. These Skybar products are intended to get the most out of wines and to offer consumers a great home relaxation experience. The Skybar Wine System comes with three different wine chambers that are set to nine temperature levels to ensure that your wine is served at the right temperature. On the other hand, Wine Chill Drops is designed to cool wine faster than the standard refrigerator. The Wine Cool Cover prolongs the time of the preserved wines at the ideal serving temperature. That way, you can enjoy your wine at your own time at the ideal temperature without losing its taste. When it comes to customer service, Skybarhome.com provides you with a step-by-step guide to using the Wine System and the various wine accessories. If the Wine System needs service, you can call their customer service for immediate help. Moreover, the company provides a 12-month limited warranty for all their products.